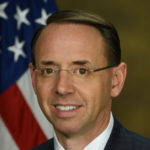 Earlier this week, Deputy Attorney General Rod Rosenstein privately informed Donald Trump that a dozen Russian government spies were being indicted for hacking the Democratic Party during the election, and giving those emails to Trump associate Roger Stone along with a Republican Congressman. Right around that time, Trump’s far-right GOP allies in the House began talking about impeaching and removing Rosenstein. That talk has scared a number of members of the Resistance, so let me explain why that’s not going to happen. It does appear that Republican Congressman Mark Meadows and Jim Jordan (yeah, the guy caught up in the Ohio State sexual abuse scandal) are looking to hold a vote on Monday to impeach Rosenstein. But this is nothing more than a stunt. There is no indication that House Republicans outside of the far-right pro-Trump cabal are willing to stake themselves to something as idiotic as impeaching Rosenstein. This is a stunt that will very likely die on the House floor on Monday. To be clear, roughly ninety percent of House Republicans would need to vote “yes” for Rosenstein impeachment hearings to take place. There are too many House Republicans from moderate districts who don’t want something like that hanging from their heads as they face reelection. But let’s say House Republicans do go nuts and decide to impeach Rosenstein. The effort would still die in the Senate, because there are absolutely not enough votes in the Senate to remove Rosenstein from office. So we’ll see what Donald Trump’s House allies end up doing on Monday with regard to Rod Rosenstein. But whatever happens, keep in mind that it’s nothing more than a stunt and a distraction aimed at muddying the waters. There is a 0.0% chance that Congress will actually remove Rosenstein from office. The real story here is that Trump and his allies are so spooked by these Russian hacker indictments, they’re resorting to a strategy that has literally no chance of succeeding.